SERVICE OFFERED:- We are respected and reliable service provider for Medical Equipment. Our service comprises sale, maintenance, service and repair solutions in the critical sphere of Cardiology, Anesthesiology, Emergency, OT (Operation Theater) equipment and Critical Care. 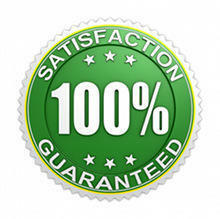 Quality of service motivates us to excel in our area of operation. Our entire range is critically valued for accuracy, high performance and multi-functionality. Our areas of operation are New Delhi NCR, Punjab, Haryana, Jammu, Lucknow, Uttar Pradesh, Rajasthan and Gujrat. Our Top Rated Medical Equipment Comprises: Defibrillator, Ventilator and Patient Monitor, syringe pump, x-ray etc. Rent Facility :- As of Recently, Meditch Electronics offer, now renting: Ventilators, Patient Monitor, Defibrillator,Bi PAPs Pulse Oximeters, and Infusion Pumps etc. We provide a complete solution for our client's needs by offering high quality medical equipment and providing efficient and cost effective after sales service. We have gained an outstanding reputation in the region by lowering the costs of owning and maintaining medical equipment for our clients. We achieve this by providing world class customer service and superior technical support to all who entrust themselves into our care. Through our Biomedical Engineering Service Division. Our highly skilled technical department is filled with our own employees who have the experience and capability of repairing all types of medical equipment. This includes Medical equipments like ventilator, patient monitors, syringe pump (all brands) and most general biomedical equipment. Through our Parts Division, we keep on hand major imaging parts for our clients while also maintaining good records for our clients that we perform 3rd party service. Our Goal is Simple : to be the number one service company in the regions we cover. To obtain this, we have a large stock of parts in our warehouse supported by a sophisticated supply chain that spans the globe. Through our New Medical Equipment Division, we represent various Chinese, U.S. and European Manufacturers providing our clients with new technology, thus advancing health care in the markets we serve. In many cases, our clients may not have the fiscal budget necessary to obtain the latest technology. Therefore, we bring this equipment back up to the original equipment manufacturers specification using ONLY OEM parts. WARRANTY:- We offer a full one year warranty on all the per-owned equipment along with 5 years after sales services. We are the best hub for all types of medicinal equipment. our team works hard to provide customers with new, improved and customized solutions of our products. Working seamlessly in proper co-ordination of clients, our team believes in idealization and work on the ideas to turn them into a reality. Resources in form of team and manpower available with us are trained professionally to deliver better results. We are respected and reliable service provider for Medical Equipment. Our Service provider for Medical Equipment. Our service compries sale, maintenance, service and repair solutions in the critical sphere of Cardiology, Anesthesiology, Emergency, OT (Operation Theatre) equipment and Critical Care. Quality of service motivates us to excel in our area of operation. Our entire range is critically valued for accuracy, high performance and multi-functionality. Our areas of operation are New Delhi NCR, Punjab, Haryana, Jammu, Lucknow, Uttar Pradesh, Rajasthan and Gujarat.